Welcome to the Kingdom, Alfie. Charlie’s over there with your nanny. Her name’s Terry. She knows you better than you think. And she’ll keep you warm and happy till Mum and Dad get here. Come in and meet Abba, Father — and He shall wipe away every tear, and Death shall have no dominion. Think not that this writer hates England or the English people. As a Canadian, that would be impossible. But what England has become in the last half-century reveals the fraud which it had become for over 500 years. In my fantasies about living in another time, that time would be in medieval England, hardly the Dark Ages. A time when the whole land was Catholic. When the King was Catholic. A time when the monasteries developed a social and economic system that was inherently Catholic. When people's lives were governed by Embers and Rogations and Feasts of Saints. A time and a land where Jesus Christ ruled people's lives because they loved Him and Mary, His mother, was always their queen. All of this changed when their own wretched "Pol Pot" or Henry VIII, as one commenter put it came on the scene. I would argue it was a generation earlier when his father murdered the last Plantagenet, Richard III, the last truly Catholic King of England. The Tudor's were a satanic force. A pathetic, immoral blood-thirsty family of usurpers. Henry VII, Henry VIII and his bastards, Edward VI and Elizabeth I. The real and rightful heir, Mary, was tainted in history as "bloody" for protecting her rule and attempting a restoration. How just that a filthy brutish devil who would worry so much about his dynasty should have that dynasty end only a generation later. A murderous regime that tortured and executed thousands of its own people who only wished to follow the faith of their fathers. Thomas More, and John Fisher. Margaret Clitherow, Edmund Campion and Robert Southwell and Anne Line. Priest and Bishops, Augustinians, Franciscans and Jesuits when they actually had faith. Laymen and women including Earl's Lady's Knights and commoners. 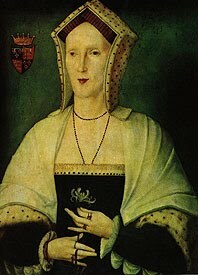 A reader has reminded me of Margaret Pole, the last Catholic noblewoman who was murdered by Henry VIII whom I have blogged about previously. If this were to happen today, the modern world would consider it a religious genocide. England was no better than the Iran of today or the maniacal monsters of ISIS, or the fascist regime of Saudi Arabia. This was their own Reign of Terror, The French got it from somewhere. England's leaders are no better than Assad or Hussein. After that, England became worse. It profited from the misery of others as it enslaved Africans and sold them as chattel. It beggared nations as it raped their resources. The sun never set on its empire, yet it was an empire of evil and pillage. It could have been an empire of grace. The whole course of world history changed that day when Richard III was murdered. England would have remained Catholic, the protestant revolution would have no doubt been isolated to central Europe, it would not have been taken around the world as it was by England. North America would be fully Catholic, much of Oceana as well. There would have been no pilgrims to Plymouth Rock. There would have been Catholic immigrants. The "Church" of England is a fraud. No bishop is real. No priest is real. The bread is bread. It is a corrupt mockery of the real Church. Anglicanism is a putrid abomination dressed up with pretty music and regal ceremony. England went on to pass over more than 50 Catholics to find a heretic apostate to sit on its throne. They would take a German heretic rather than a Catholic Englishman. It engaged in a family feud that butchered millions in the mud of Europe and then extracted such penalties from the German perpetrators that it should have been obvious that a greater war of evil would come from it. The Windsors are a Germanic family of frauds. Their hold on the Throne of England is as illegitimate as Henry's bastards and as false as the Anglican "Church." The both deserve each other. The English people have been duped to think that their church is the Church and their queen is their Queen. England has become a fascist socialist swamp. A pathetic shadow of its once great potential. It's Queen, who purports to love Jesus as in her last Christmas message must see her death coming soon. She is close to it, no doubt. Yet, she signed into law the murderous abortion bill that has murdered 7,000,000 of her children. She sat by and did not even use moral suasion to prevent the deaths of Charlie Gard and Alfie Evans. Its people have generally become cowards and selfish. Charlie and Alfie may have died, regardless. In fact, the doctors may have been correct about their diagnosis and the prognosis. The issue then and now is the right of the parents to determine the care, to seek other opinions and other options. England is now cursed. It cursed itself more than a half-millennium ago and it is being punished for its actions. In its zeal of hatred for Christ, it has embraced within it the tool which will destroy it, Islam. To my English readers, God bless you and may Mary keep you. Find your courage, your soul, fight and reclaim your land for Christ, for Mary. England is dying, it is almost dead, but it can be saved and it is a lesson for the rest of us in Canada, the United States, Australia and elsewhere. Phew! some article, congratulations for a brilliant article, and history lesson from which we can all learn, Hopefully people of this country of mine will wake up soon. A scourge has been sent in the form of certain invaders who, in time, will bring civil war. Thanks for the very interesting English history lesson. I had no idea these were the roots of the current corrupted fall of once great England and all Christendom with it. A murder. God's judgement. It shows that restoration is not in political parties or programs, but Catholic revival. 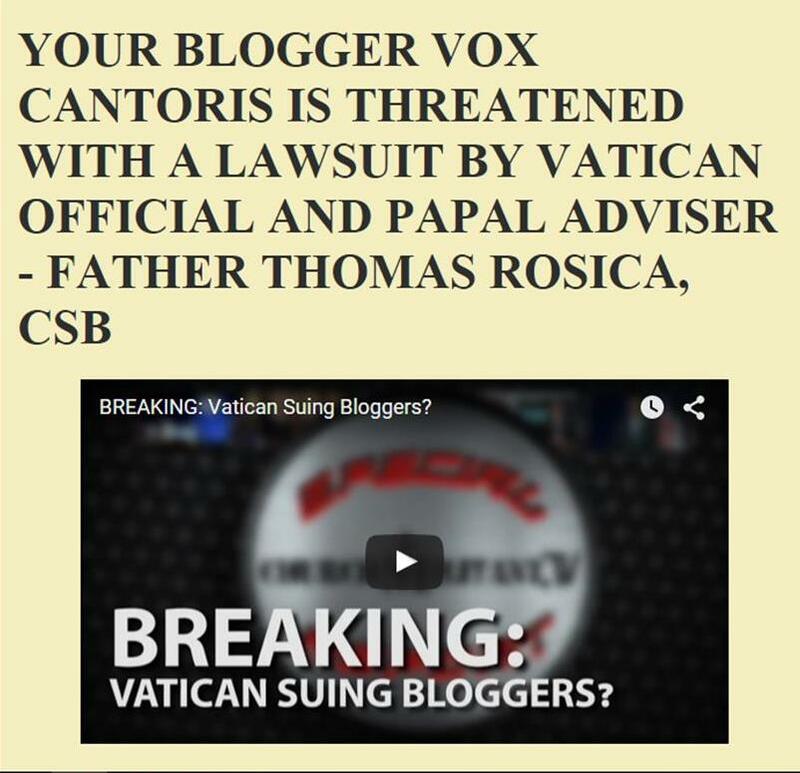 As you do here on Vox, we must all work toward a revival within our Catholic Church; a return to the Traditional One True Faith ourselves and among our Priests and Bishops; (yes, we must evangelize even them). Through that, we can evangelize our communities and perhaps beyond. Fantastic history lesson Vox, and right account of the realities here. No nation that rejects Christ will thrive or even perhaps survive. England has a choice to make. Speaking personally, I will never see England the same way after Alfie Evans, nor the Royal Family. I will never forget what the regime did to Tom Evans. Even our own churchmen had a hand in it. Jesus, hold Tom and Kate Evans in your merciful hands today, Amen. There is no Queen of England and hasn't been since 1603. There is however a Queen of the United Kingdom. Pope Francis killed Alfie Evans. You have a very good grasp of the essential recent history of my country and I congratulate you on that. You’re angry and indignant about Alfie Evans, I get that. However, it isn’t about nations, here - UK, USA, Canada. It’s about good versus bad in each country. Brits and the USA have led the pushback with Brexit, with Trump. As I write this I’ve just returned from a national “Rosary on the Coast” prayer vigil. The good guys are still in the game, here - just. And I get the feeling we might finally be coming round to re-evaluating pro-life issues in the UK. Don’t write us off completely just yet. Things could be worse. At least we’ve got a vicar’s daughter and not Justin Trudeau as PM. "At least we’ve got a vicar’s daughter and not Justin Trudeau as PM." The "vicar's daughter" sat by and did nothing, did not direct Home Secretary to intervene. Our Dear Leader is a fascist, an apostate Catholic raised in the faith by an apostate educated by Jesuits. We know well what we have. His end will come in 18 months, maybe less. This was the reply I got from the GMC - General Medical Council when I protested to them to free Alfie Evans. We were all very sad to read in the news about Alfie’s passing on Friday night. This has been a tragic and challenging case for all those involved. It may be helpful if I say something about the role of the GMC in giving guidance to doctors on ethics and professional standards, before outlining the guidance we give to doctors who are caring for children and young people. We provide specific guidance on the treatment and care of children who do not have capacity to make their own decisions in our guidance 0-18 years guidance for all doctors. We also provide specific guidance on end of life care in Treatment and care towards the end of life. Any other factors relevant to the circumstances of the individual child, including non-medical factors. Identifying a child’s best interests is not always easy, and there may be conflicting views that are difficult to reconcile. In any situation where the clinical picture is complex and challenging, we know that it can be very difficult to judge when the burdens and risks of a particular treatment, including the degree of suffering that may be caused by treatment, will outweigh the potential benefits of the treatment to the patient. Making these judgements can be particularly challenging where treatments are untested and the patient is a very young child with a life-threatening condition. Our guidance therefore sets out the established legal and ethical framework that doctors should work within. Doctors should always try to work in partnership with parents to try to reach a shared view about the best course of action. Where there is significant disagreement, and this can’t be resolved between the medical team and family, then we say that it may be necessary to seek an independent review by the courts. Approaching the court should be seen as a constructive way of thoroughly exploring the issues and providing reassurance that the child’s interests have been properly considered in the decision. Whilst we absolutely recognise how distressing this case is, it is not for the GMC to intervene or to comment on the specifics of it, beyond highlighting the guidance we provide to doctors on caring for children at the end of their lives. It is ultimately for the courts to make the decision about the best interests of the child in complex and challenging cases such as this. Where doctors are following the principles of our guidance we would have no cause to take action. Dr. Colin Melville, you simply have no right. You have no right to remove decision making from good parents. What has been proven by Alfie Evans and other children you have allowed killed is this, that the "best interests" of the child are left to the two people who brought that child into the world, his or her parents. Those people will not be motivated out of any economic or financial factors, nor efficiency, nor any other factor except the best factor, love. You do not have the right to decide what is in a child's best interest, and now that you have demonstrated the horror of allowing children to die in their "best interest", that has only solidified that opinion in the public's mind. I pray the people of England fight you tooth and nail to regain full control over their own children, unless those parents have demonstrated they are neglectful or abusive. The people of America are appalled at your arrogance, to believe you are more capable of deciding what is best for children who do not belong to you. They belong to their parents! It defies logic that any Judge could have the authority to take away the rights of Baby Alfie's parents who desire to move their child to a hospital that is Pro-Life, and desires to care for their child, when the hospital that child currently resides in admits that they no longer desire to provide the adequate life-sustaining nutrition, hydration, and medication for Baby Alfie. All those who have supported the hospital's desire to withold medical care for Baby Alfie, and obstructed Baby Alfie's legal parents desire to have him moved to a Pro-Life hospital that desires to treat him, are guilty of aiding and abetting the crime of kidnapping, and voluntary Gross Negligence Manslaughter. Any judge who is guilty of aiding and abetting the crime of kidnapping and voluntary gross negligent manslaughter should be held in contempt and impeached immediately. Judges are not above the law. d) the breach should be characterised as gross negligence, and therefore a crime." Something is not right at Alder Hey Hospital, which has a history of corruption and scandal. If England allows Baby Alfie Evans to die through her hand, this would be Voluntary Gross Negligence Manslaughter due to the fact that the parents desire to move Baby Alfie to a Pro-Life Hospital was intentionally obstructed, prohibiting them from obtainng an outside second opinion, and the care necessary to sustain his life. There is no risk greater than death in moving Baby Alfie, and England has already served him with a Death Sentence. Alder Hey Hospital has no defense for kidnapping Baby Alfie. Let no ne deceive you; rendering onto Caesar, what belongs to God, will always end in tyranny. God save us all! ." Prayers for Baby Alfie Evans and his family; may God send a multitude of Angels to watch over Baby Alfie! In the 1400's non-English clerics began Theto be expeled. I point to the Magna Carta. It was condemned by the Holy Church for a reason. The Pope and every bishop should have declared that anyone who interfered with removing Alfie from Alder Hey death camp was committing a mortal sin. That would include all the dozens of cops involved, all the doctors and nurses, etc. Note that all the Pope and many bishops said was that they were praying that everyone would Just Get Along. No one uttered the word "murder." And, of course, there was the bishop of Liverpool, who supported the killing of Alfie. The Queen, of course, proved her uselessness. As did William and Kate. Meanwhile, the famous Satanist, Katy Perry, attended and spoke at a "healthcare" conference at the Vatican, and was greeted with the same grins from Bergoglio that he reserves for his friends like abortionist Emma Bonino. She's "one of Italy's forgotten 'greats,'" you know. Excellent article, hard hitting, which may upset some people, but the conclusions reached and the facts presented are in keeping with William Cobbett's "History of the Reformation in England and Ireland", written in 1824 and still in print. Henry VIII also had Margret Pole, a distinguished 67 year old lady of the Plantagenet family, brutally murdered. Why do I get the feeling that if Alfie & his parents had been muslim Archbishop McMahon would have been front & center outside of the hospital as well as in Alfie's room never missing an opportunity to stick his face in front of a camera to show his "concern" for the "oppressed". No doubt lecturing all of us on "racism" & "xenophobia" & "islamophobia". Indeed, Theresa May & the British govt along with the Wrath of Kahn would have resembled a rugby scrum all jockeying to get to the nearest microphone to sing "We Are the World". Mr sodomite Hayden wouldn't have DARED prevent a muslim family from leaving Alder Hey Death Camp. You don't mess with Islam, do you? Which shows us all the status of working class Catholics in the UK I guess. MxMahon is a disgrace. More concerned with cozying up to the British Establishment instead of serving Christ & the flock in his own diocese. It does show his arrogant disdain for the working class Catholics when he had no problem flying off to Rome to betray a desperate young family that was being ground down by the all powerful State. He must really have a breathtaking contempt for the truly powerless & helpless in society. I suppose he knows who you can spit on without consequences. But there will be consequences someday for the likes of him & Hayden & the NHS & those murderous monsters in the Alder Hey Death Camp. It is called Judgement Day. There should be a huge portrait of Dr Mengele in the lobby of the "hospital". Also May should be having tea & scones with Heinrich Himmler. They are in good company. Astounding that few seem to realize that this shocking spectacle we just witnessed is PRECISELY the kinds of things that were said & done by the Nazis in the 1930's. England will be facing its Waterloo soon. Islam is growing and does anyone think the Muslims will respect the English "royalty" and the Anglican faith? Buckingham Palace will soon house an Islamic prince and the bishops will face once again the choice to obey the tyrants or follow St. John Fisher. I have no doubt they will act the same as the pathetic bench of bishops in the 16th century and Liverpool's McMahon will probably run to be the first convert to Islam. “In my lifetime we have seen global wildlife populations decline by over half. Africa’s rapidly growing human population is predicted to more than double by 2050—a staggering increase of three and a half million people per month. There is no question that this increase puts wildlife and habitat under enormous pressure.” So let's kill off black people so that big game hunting isn't threatened! Well, Alfie was one. Who's next? Does the prince want to volunteer one of his own children? Per Jorge, pretty much, don't you mean Saint Henry VIII? Boy I'm really having a hard time with this. This has rocked me. I am astounded England would be this cruel, this level of cruelty you'd have to go to the Middle East to see, yet here it is in the middle of Christendom. It has put the battle between good and evil in bold print and caps. These people are diabolically disoriented, that they would do such evil and defend it! I really do pray God come to our aid soon, we are accompanied on this planet earth by really bad dudes, who dress in fine suits and stand in front of assemblies and give speeches, but who condemn small babies to die and then kill that baby. They have no souls, or their souls are dead from misuse. I have heard Tom and Kate Evans were not allowed to be present when poor baby passed. The deviltry! We would expect this from Mengele, not May! What on God's earth has transformed these hearts to stone! Thanks for this great post, from another lover of the Catholic Middle Ages. How great it would be if England returned to its medieval and Catholic roots. According to the court testimony of the NHS physicians who admitted Alfie, his initial diagnosis involved a fairly common condition: “viral bronchiolitis and a possible prolonged febrile convulsion.” The still-undiagnosed brain disease that allegedly killed Alfie didn’t appear until after he entered this dangerous hospital. Very well reasoned article on the historical demise of a once great Catholic nation. Let us look deeper though at this demise. Why was the soil ready for the usurper Henry VIII? Such that when he set himself up as lord of his church, hardly any bishops made a peep - oh yes a tiny few did, and they were martyred - but a sizable majority of the bishops went with the anti-church and took the oath of supremacy. Meaning the soil was ready for this anti-church due to the fear of human respect and indifference already present. Look at France - how many bishops went over to the side of the revolution - quite a few. Human respect and indifference won the day in both cases. Now let us look at today - we have irregular pronouncements coming from the Holy See - yet of the thousands of bishops in the world - less than ten speak up to defend the Faith. One only needs to look back at the time of Arius even - when only one bishop stood up against this abomination, which has reared its ugly head again in neo-Arianism being taught in the seminaries that Christ grew in awareness as if He had divine-amnesia. The Church will grow small because the faith is either not there, or so weak it will falter due to indifference and for fear of human respect. The shadow of Judas is long, two thousand years long at this point, which will finally culminate in his cousin the anti-Christ. But we have hope in the prophetic dreams Dominic Savio, that England, the dowry of Our Lady, will return to the Faith - but only after much suffering. Faith can only be protected in these days of anti-life with the tether-cord of Life, the rosary. Put down the rosary and one has surrendered - never put down the rosary, otherwise one may surrender to indifference and human respect. In the visitation of the province of York in August and September, 1559, out of ninety clergymen summoned to take the Oath of Supremacy only twenty-one came and took it.2 In the province of Canterbury the dean and canons of Winchester Cathedral, the warden and fellows of the college and the master of St. Cross all refused the oath.3 Out of 8,911 parishes and 9,400 beneficed clergymen only 806 subscribed.4 Archbishop Parker had instructions 'not to push any one to extremities on account of his oath ;5 and the presence of Catholic priests who had been ordained before the accession of Queen Elizabeth was largely connived at by the Government as being so numerous. It was only gradually that they were removed to make way for men who were willing to conform to the requirements of the new Church. The vast majority of the clergy of England were as loyal to the old religion as were the bishops. They would not be severed from the Apostolic See by renouncing their allegiance to the Pope in spiritual matters ; nor would they accept the Thirty-nine Articles of the Anglican Church or use the Book of Common Prayer. They were consequently dismissed from their respective parishes, and their places filled as far as possible with men willing to conform to the requirements of the Church henceforth to be known as the 'Church of England. Some went to live in foreign countries, many are known to have found employment as chaplains to Catholic noblemen and country gentlemen, to whose children in many cases they acted as tutors. Another and a still larger portion of the clergy quietly withdrew of their own accord to their homes. The policy of the Government was to leave them unmolested, and to trust to death gradually to remove them. Yeah, right! Middle Age! When the life expectancy was below 30 years. When the black plague killed 1/3 of the population, because the basic sanitation was inexistent and feces were thrown out by the windows. When the scientific knownledge was about how many angels could dance on a pin. When the feudal serfdom was the first slavery of the history in which the slave had to pay taxes for his work, at the place which he never could let. When the Pope obliged the England to torture people, because she was unreasonably tied to the ancient notion of due process, not to mention the Inquisition and the wars between oh-so-much-devoted-Catholic-kingdoms! The average life expectancy for a male child born in the UK between 1276 and 1300 was 31.3 years. That is true but it is statistically skewed by infant mortality. By the time the 13th-Century boy had reached 20 he could hope to live to 45, and if he made it to 30 he had a good chance of living to be over fifty. The Bubonic, or Black Plague was not spread by throwing excrement out the window but by fleas biting rats which carried it and then biting humans and passing it on. On matters of medicine, science and education, again, you are quite wrong. It was the monasteries which were not only the preserve of but the dispensers of knowledge. There was no public education until the middle 19th century. The Church educated the people as best they could and those able to were educated quite well. Who do you think created the university system or the scientific method? It was the Catholic faith! The Church in medieval times demanded that able students should study mathematics and science as it was known. The universities were self-governing answering only to the Pope, not the King. The Church created "academic freedom" and Christian theology itself is conduscive to scientific knowledge and exploration. As for the Pope ordering to torture citizins, site me an example because I referred to many totured by the the evil Tudors. The whole notion of "due process" came out of the medival period. Have you ever heard of the Magna Carta? You should look it up. As for the inquisition, well that is just too silly to respond to. Truly friend, are you really that stupid? ...and the Apologist's Award goes to...Vox! Hear, hear. My own mother, an ethnic Cornishwoman from a line of recusants, could tell you a thing or two about the brutality and savagery that the glutton and monster Henry VIII gave birth to. Subsequent to the Act of Supremacy there were plenty of Cornishmen and Devonians who steadfastly resisted the suppression of the Latin Mass that they and all of their forefathers knew so well. They fought to preserve their traditions, and the hammer came down on them hard. Untold thousands of Cornishmen and Devonians were slaughtered and the Cornish language was ultimately destroyed. One must remember, and I think you did well in pointing this out in the article, that the English themselves are the foremost victims of the legacy of Henry VIII. Let us pray that the Light of Christ shines once more on Britain! It is fairly easy in this modern electronic age to find some property taken illegally by, e.g., the Soviet Russian or the Communist East German government or the totalitarian UK govt, and return it or its value to the rightful owner. 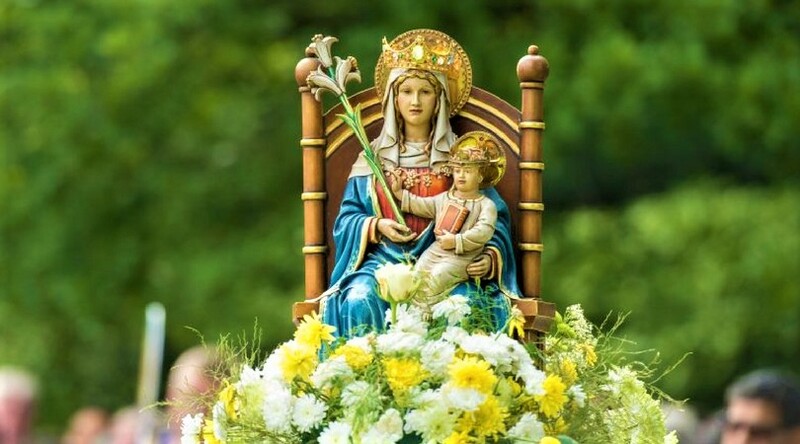 This should be done in England-all the property-real and personal, land, buildings, chalices, monstrances, paintings, art works, statues, etc-should be returned to the Roman Catholic Church. If enough UK liberals/totalitarians get behind this, I personally will rejoice when Winchester Cathedral, burial place of Jane Austen, is deeded back to its legal owner-the Roman Catholic Church.